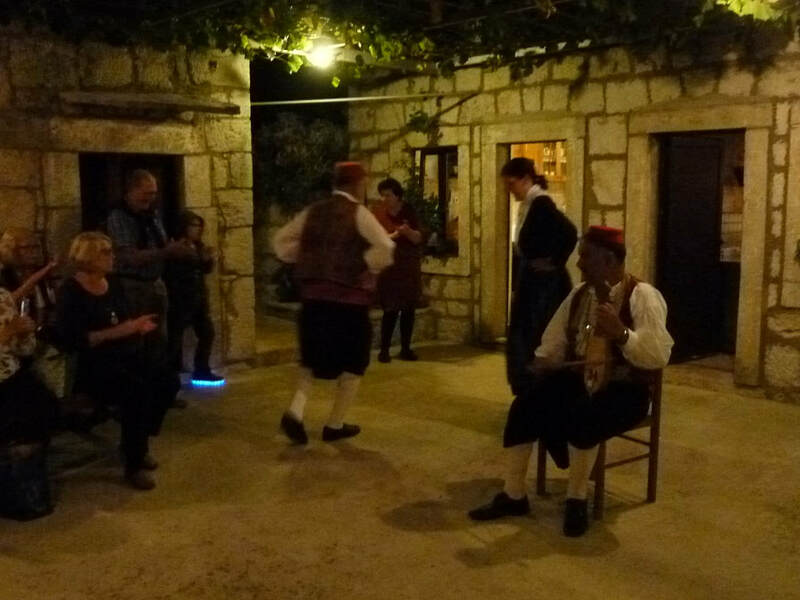 The family has captured the small group tour market with its traditional home-made meat dinner feasts and mix of Croatian-Turkish dancing and music show. The Medica’s throw open the doors to their modest home three nights a week - and there’s seldom a spare seat at the table. 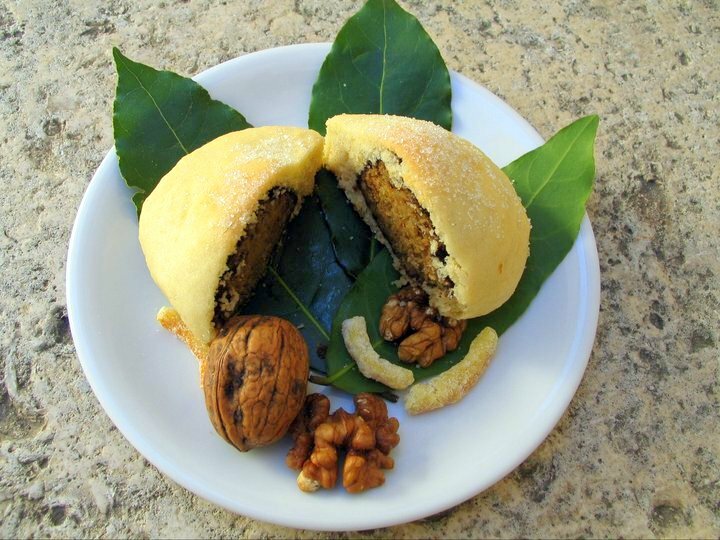 The meat is cooked in a bell-shaped iron cast pot under hot ash and served in an ancient stone hut, together with wine produced on the farm. It was a welcome relief from the congested streets of Dubrovnik’s Old Town - even more so when the cruise ships arrive offshore. The tourist crush has caused a backlash among the locals who have urged authorities to reduce the daily number of ships to a maximum of two. 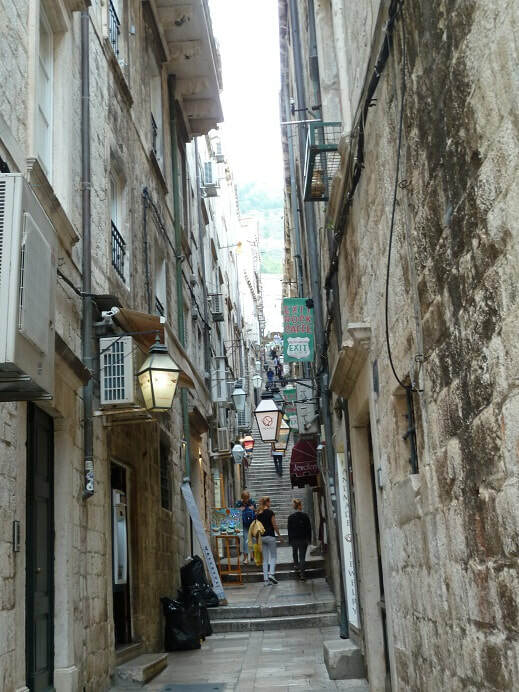 They claim the hordes from cruise ships, who descend on Dubrovnik’s Old Town almost every day from May until late October, are affecting their quality of life. 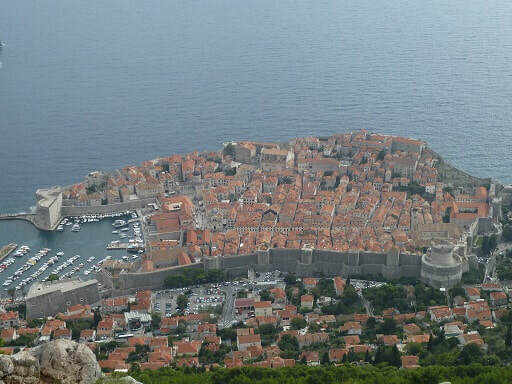 But despite the crush, Dubrovnik’s cultural history and world-renowned monuments - part of the UNESCO heritage – lure visitor from far and wide to this exquisite and one of the best-known cities in the Mediterranean. Back-Roads Touring operates an 18-seat ultra-comfortable Mercedes Sprinter mini coach on its growing number of European tours, with emphasis on its name – that is using as many back roads as possible, instead of main roads, to avoid traffic snarls. 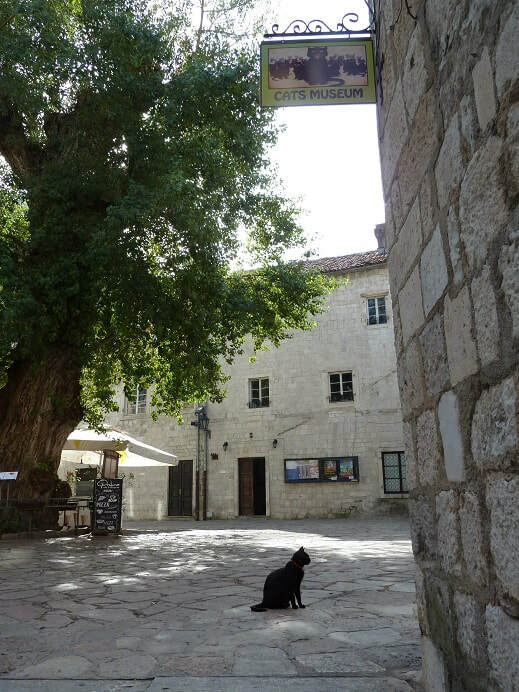 Our trip began in the UNESCO World Heritage-listed ancient town of Trogir, close to the Dalmatian coastal port of Split. Here, you don’t need an alarm call/clock on a Sunday morning as the church bells start ringing at 5-30am. But an early morning stroll is well worth getting out of bed when the bells toll, as you can pound the old town’s cobbled streets in comfort before the day trippers move in. 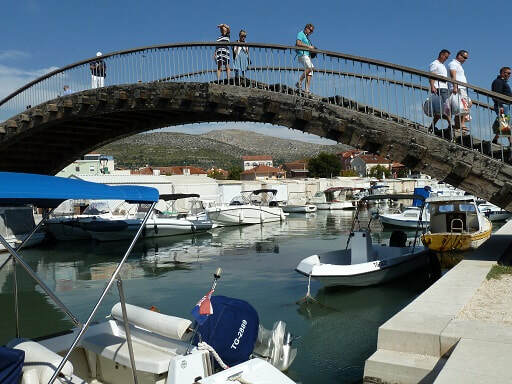 And there’s plenty to see as Trogir’s architecture ranges from Greek to Romanic, Gothic, Austro-Hungarian and modern. Surrounded by walls, Trogir’s well-preserved fortress, towers and numerous other buildings and palaces date from the Roman, Gothic and Baroque periods. 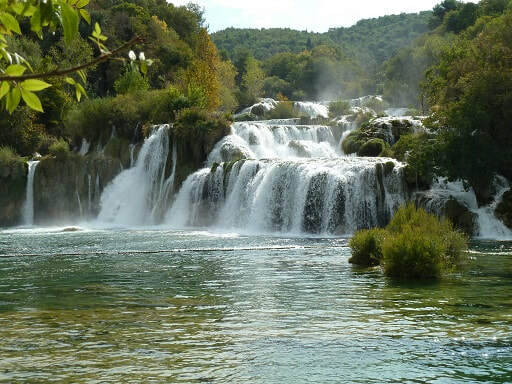 During the two-night stay in Trogir, our genial tour leader has done her homework on visits to Roman emperor Diocletian’s palace in Split and another tour highlight – Krka National Park and its magnificent waterfalls, most notably Skradinski buk, one of Croatia’s natural wonders. A stop for a tipple or two and some home-made tapas topped off a full day before we headed back to Trogir, which was founded by the Greeks in the 3rd century. It was back to Split the following day to hop on a ferry to Korcula, arguably the most captivating Adriatic island of Dalmatia. The sixth largest of Croatia’s 1247 islands, of which just 48 are inhabited, Korcula is reputed to be the birthplace of Marco Polo. With its natural beauty, clear turquoise waters, and 182-kilometre long indented coast with idyllic coves, beaches and promontories, it’s little wonder Korcula is a nautical mecca. 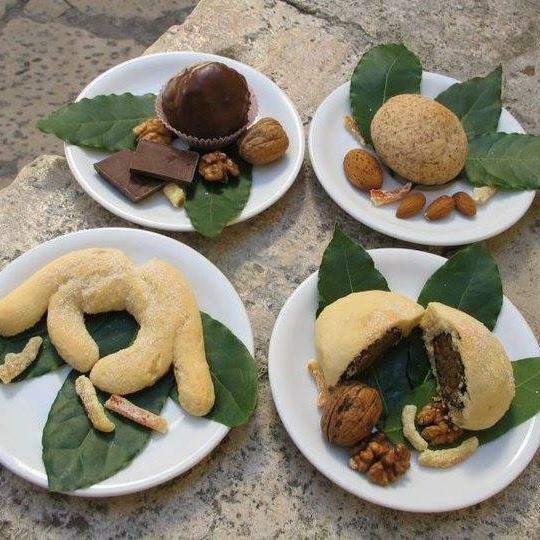 Our two days on this island gem was enough time to explore the enchanting old town and meet up with a local identity, whose patisserie is a serious magnet for locals and tourist alike. 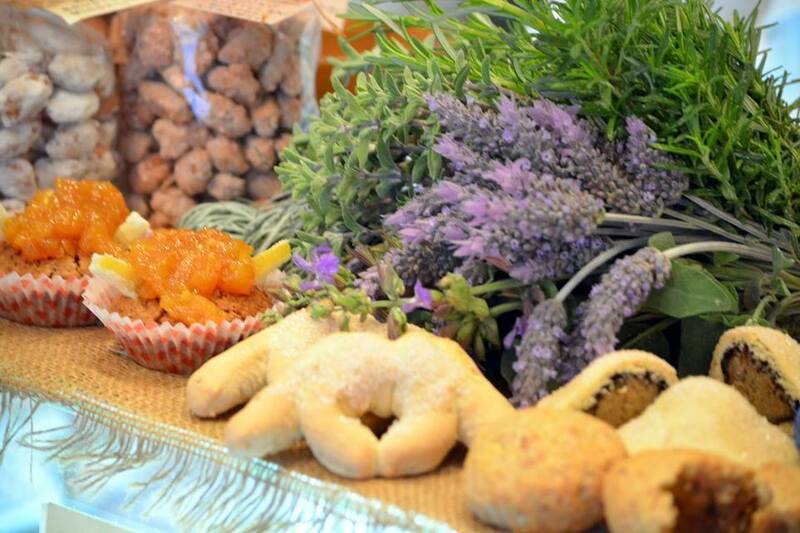 Smiljana Matijaca has been making traditional sweet biscuits called Cukarin using aromatic herbs for the past 24 years. But she won’t divulge the recipe, saying the secret ingredient is “love”. 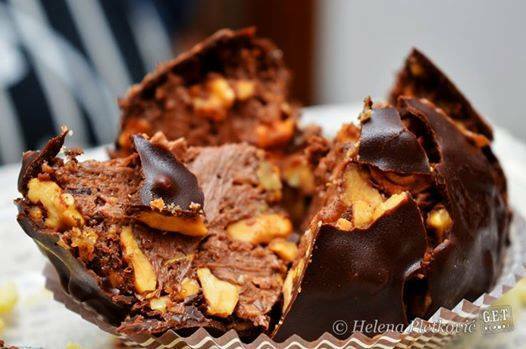 The award-winner makes all her pastries by hand, without any machine help, and is featured in a Croatian cookbook with over 150 recipes from the country’s best chefs. After another ferry ride back to the mainland, it’s a long drive to Kotor in Montenegro with a winery stop (not necessary), a medieval little town called Ston, with the longest stone wall in Europe (5.5kilometres), and a frustratingly multiple vehicle queue at the Croatia and Montenegro border points. This didn’t give much time to explore charming and historic Kotor, a medieval UNESCO Heritage-listed town tucked into the massive bay of the same name, where tourism is blossoming. It’s surrounded by mountains plunging into picturesque Kotor Bay, which stretches 30 kilometres from the Adriatic and is Europe’s southernmost fjord. From Kotor town, our next stop was Perast, from where we hopped on a boat to the tiny island of Our Lady of the Rocks to meander through the ancient Byzantine-style church before heading back for two nights to Dubrovnik – and, unfortunately, the throng of people, many of whom have been attracted by Game of Thrones. Strong winds in Dubrovnik can halt boat trips to outlying islands and the cable car operation (we did manage to get to the top of Mount Srd when the wind dropped), but our planned boat ride to the Elaphite archipelago was called off. To make up for the disappointment, our gem of a tour leader organised a farewell lunch by the waterfront. Backroads also two other different tours in Croatia. 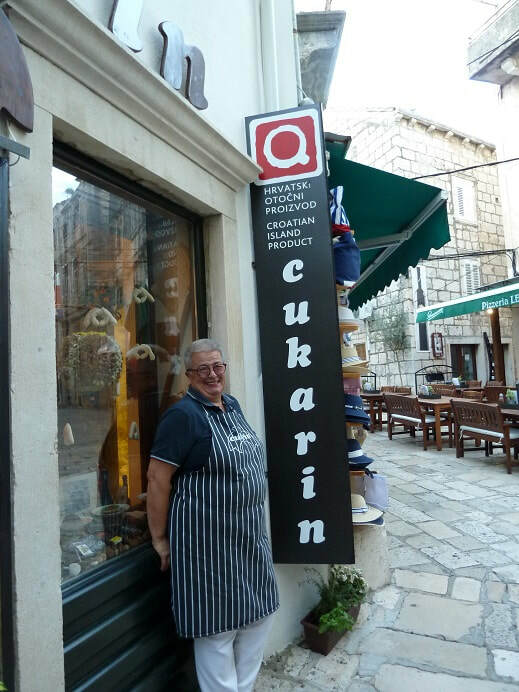 As well as a tour leader who’s with the group from start to finish, Back-Roads Touring provides local guides in Trogir, Split, Korcula, Kotor and Dubrovnik. Back-Roads Touring has had 25 years’ experience in small group and tailor-made tours across Europe, Asia and the UK. It says the tours – with a maximum group size in Europe of 18 – enables travellers to reach places that conventional coach touring groups can only dream of, while keeping to small groups allows the company to set a more relaxed pace. Among other things, included in the tour price are daily European breakfasts, one lunch and four evening meals, ferry crossings and entrance to Diocletian’s Palace, Krka National Park, and the cable car in Dubrovnik.